The map below is a 1-hour snapshot. Click to view all hours recorded since midnight. 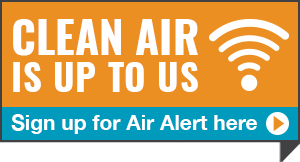 Even healthy people can experience health impacts from polluted air including respiratory irritation or breathing difficulties during exercise or outdoor activities. Your actual risk of adverse effects depends on your current health status, the pollutant type and concentration, and the length of your exposure to the polluted air. People in these groups may experience health impacts at lower air pollution exposure levels, or their health effects may be of greater intensity. Ground-level ozone is formed when volatile organic compounds (VOCs) and oxides of nitrogen (NOx) react with the sun's ultraviolet rays. The primary source of VOCs and NOx is mobile sources, including cars, trucks, buses, construction equipment and agricultural equipment. Ground-level ozone reaches its highest level during the afternoon and early evening hours. High levels occur most often during the summer months. It is a strong irritant that can cause constriction of the airways, forcing the respiratory system to work harder in order to provide oxygen. Particulate Matter is a complex mixture that may contain soot, smoke, metals, nitrates, sulfates, dust, water and tire rubber. It can be directly emitted, as in smoke from a fire, or it can form in the atmosphere from reactions of gases such as nitrogen oxides. The size of particles is directly linked to their potential for causing health problems. Small particles (known as PM2.5 or fine particulate matter) pose the greatest problems because they bypass the body’s natural defenses and can get deep into your lungs and potentially your bloodstream. Exposure to such particles can affect both your lungs and your heart. 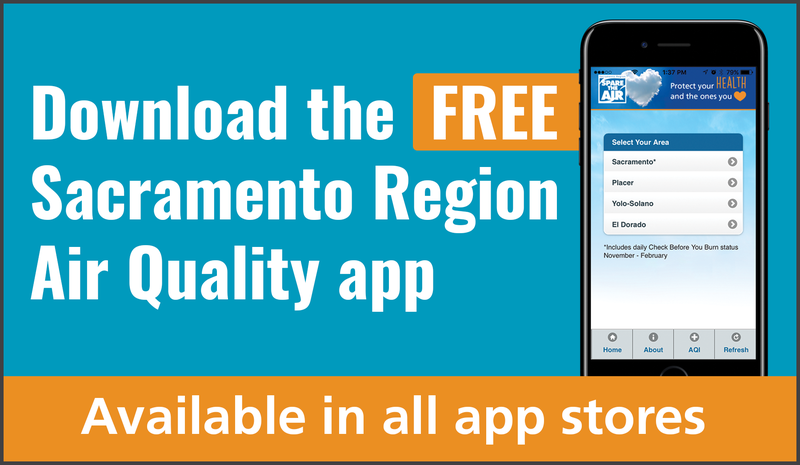 This website brought to you by the Sacramento Metropolitan Air Quality Management District and the air districts of the Sacramento region.